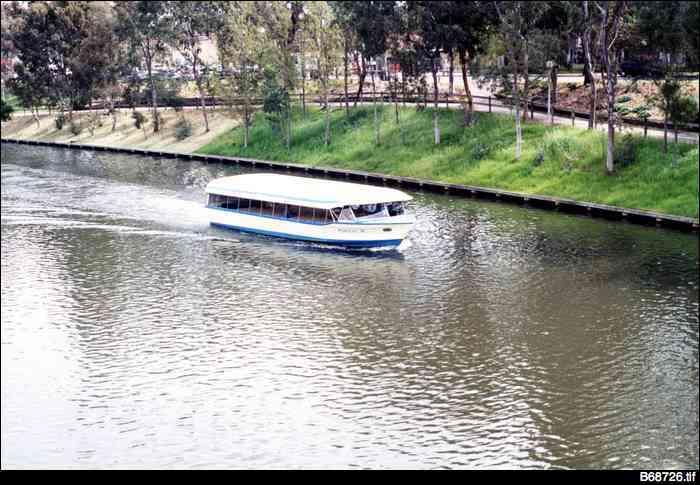 View of 'Popeye' motoring down the River Torrens. 'Popeye' was first launched to take pleasure cruises on the River Torrens in 1935. The third fleet of the popular vessel still runs between the Adelaide Zoo and Elder Park.